Become a WAGS volunteer trainer! To get involved in a life-changing experience, click here to learn about opportunities and download an application to send to WAGS. Please call (608) 250-9247 or email info@wags.net for more information. WAGS actively recruits volunteer trainers throughout the year. 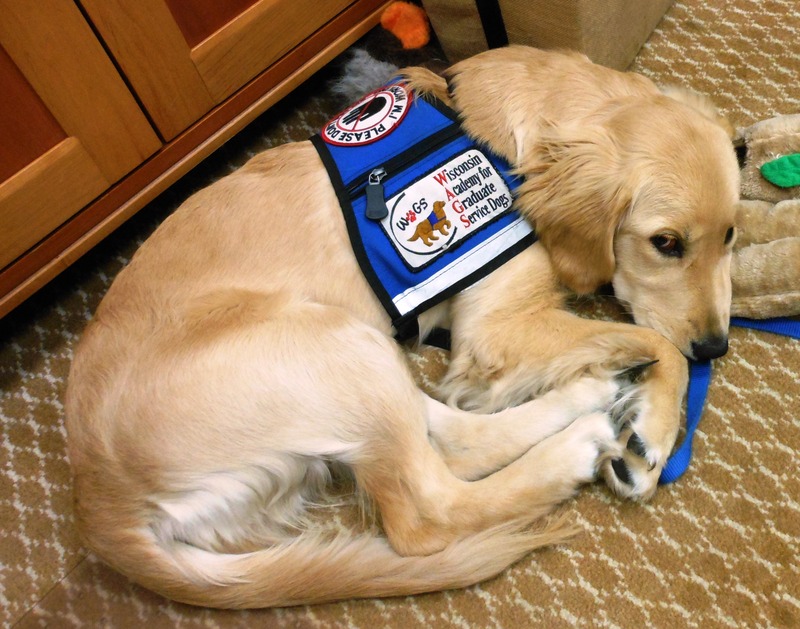 WAGS mission is to promote functional independence and improved quality of life for people with physical disabilities through partnerships with highly-skilled service dogs. 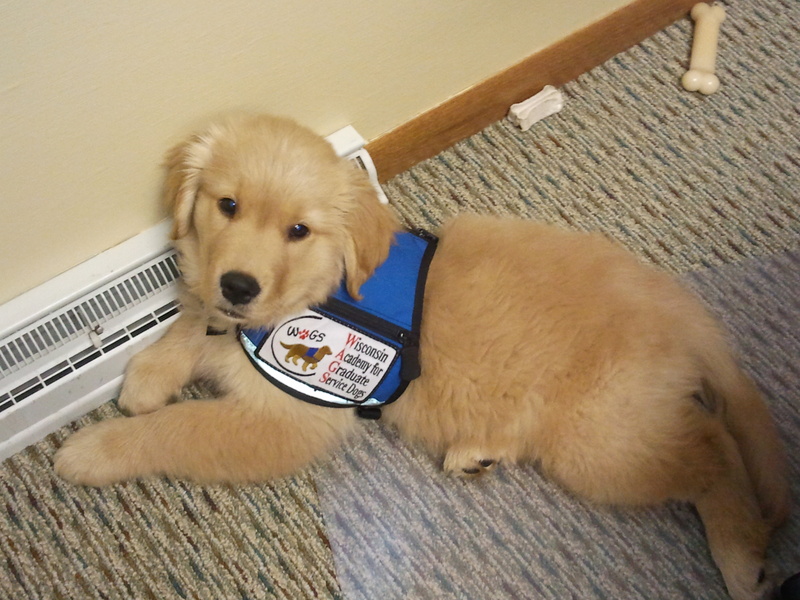 WAGS provides these dogs for people with physical disabilities that impair mobility. 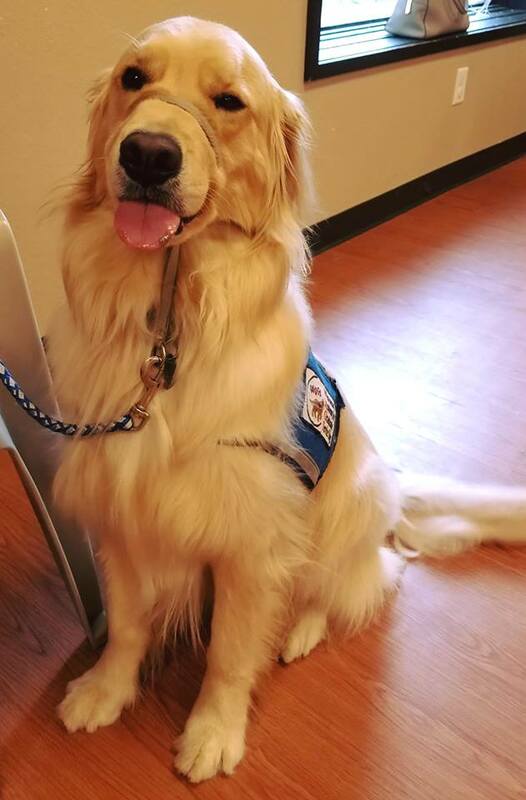 WAGS service dogs, family service dogs, home helpmates and therapy dogs are available for qualified clients and based upon integrity and respect for the individual and our dogs. 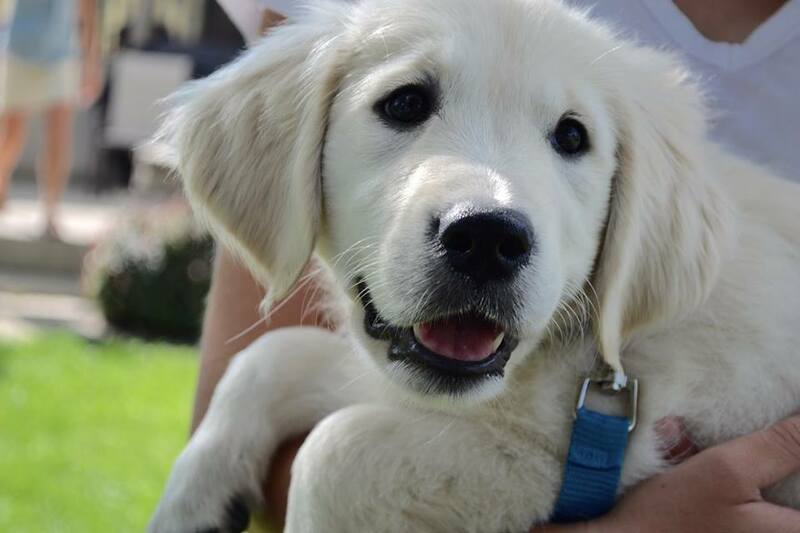 A WAGS dog may provide physical assistance, improved mobility, increased independence and loving companionship. Please call (608) 250-9247 or email info@wags.net if you would like more information about applying for a WAGS dog. WAGS is a partner agency with the United Way of Dane County. You may learn more about or organization on our About page. Sundae sleeping with one eye open!